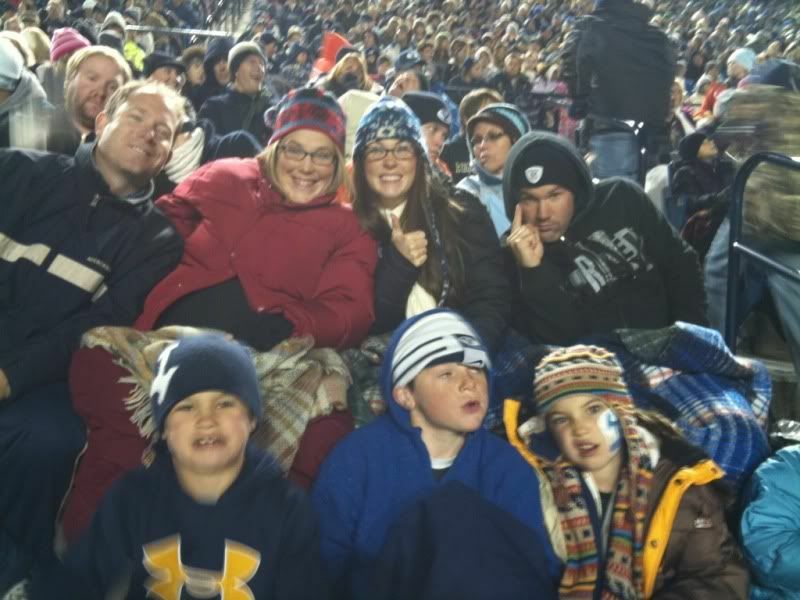 For my second party trick, I went to the BYU vs. University of Idaho game tonight with my family. 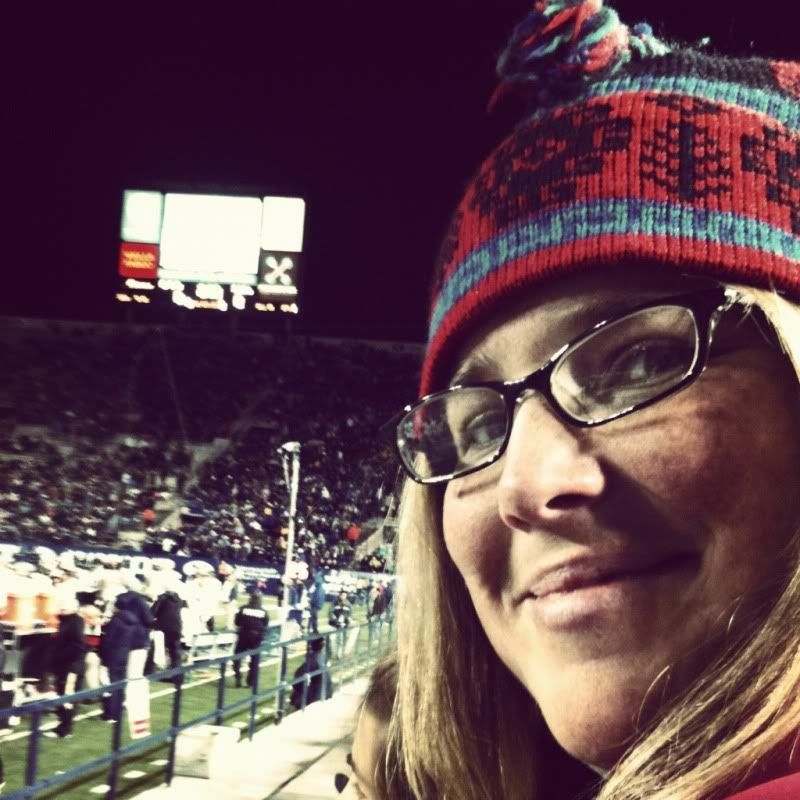 It was thirty degrees and I walked all the way to the stadium and back. Sure, on the incline back to my house I wanted to lie down in the fetal position and cry/squat, but I did it. I DID IT! When I am with these particular siblings I turn back into teasy, silly sister and I laugh uncontrollably. My brothers are horribly funny. And so is Lucy. Bottom: Buggy (who speaks French, oui), Matthew and Lydia. 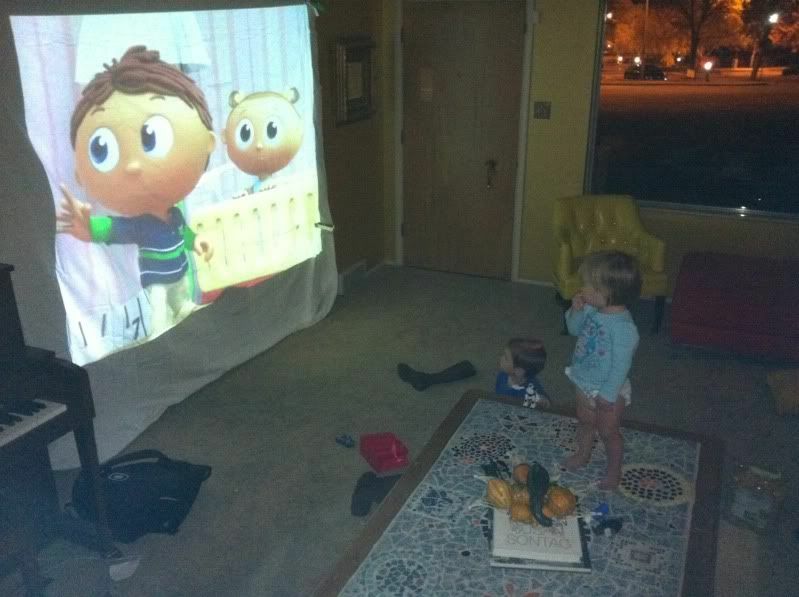 Meanwhile back at the ranch, Chup put up a huge screen and projected Super Why from his fancy equipment. My kids are so lucky. Question is, when will they know it? 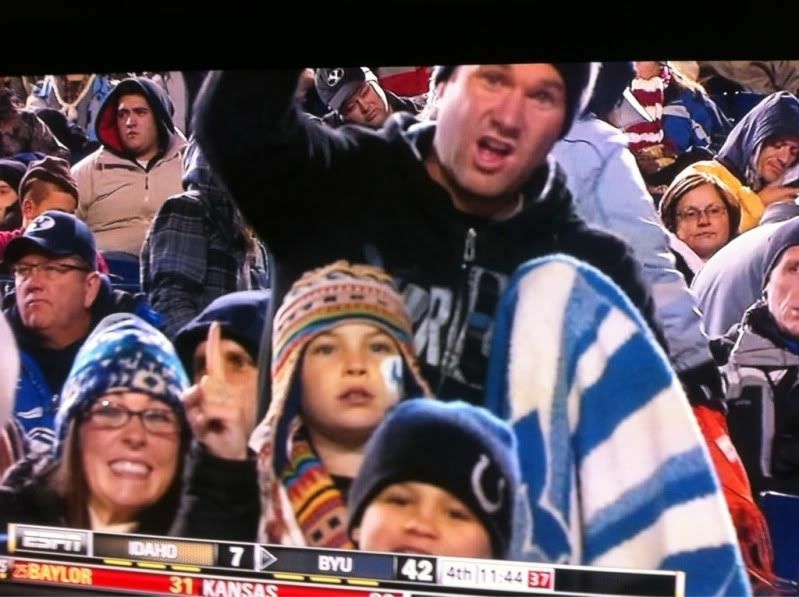 When I got home I saw that my friend Spencer Hall (@saltcityhoops) had tweeted this tv screen shot. BYU wins it 45 to 7. 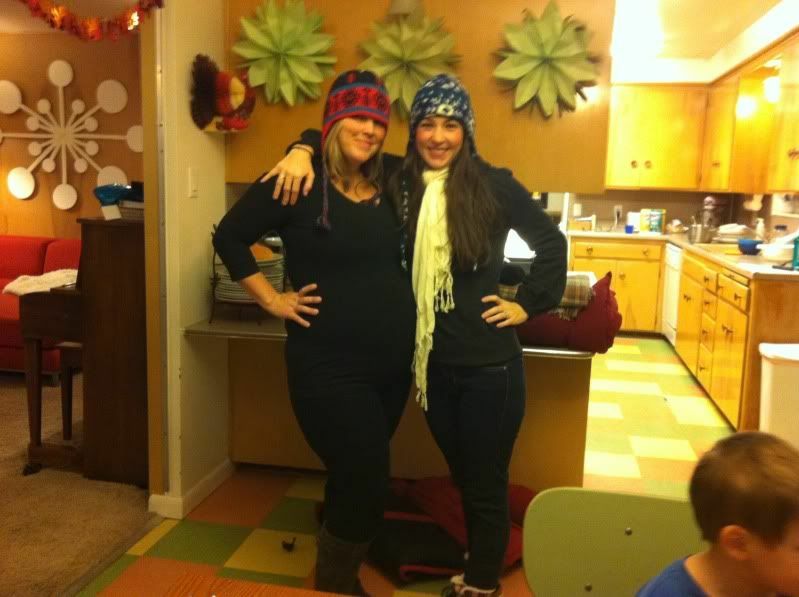 In other scores of the day: C. Jane 2, Pregnancy 0.